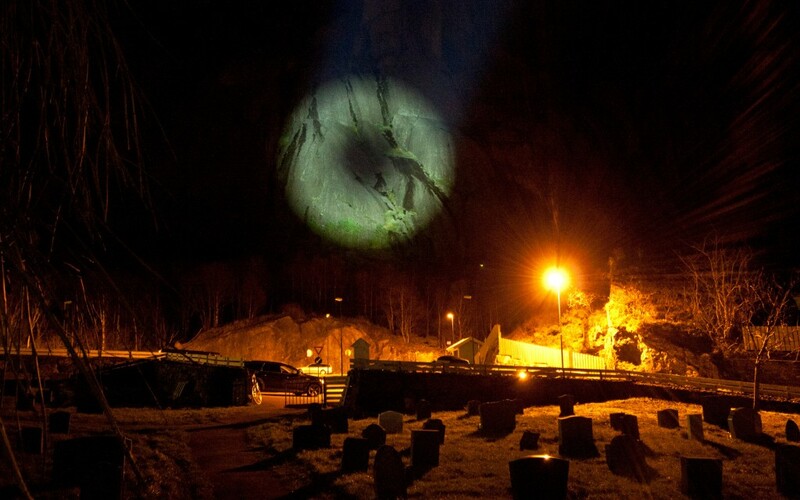 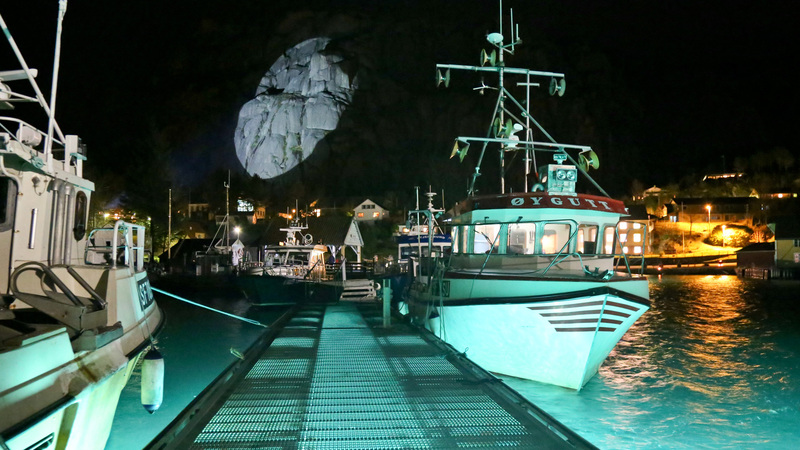 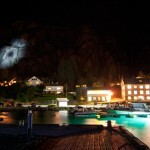 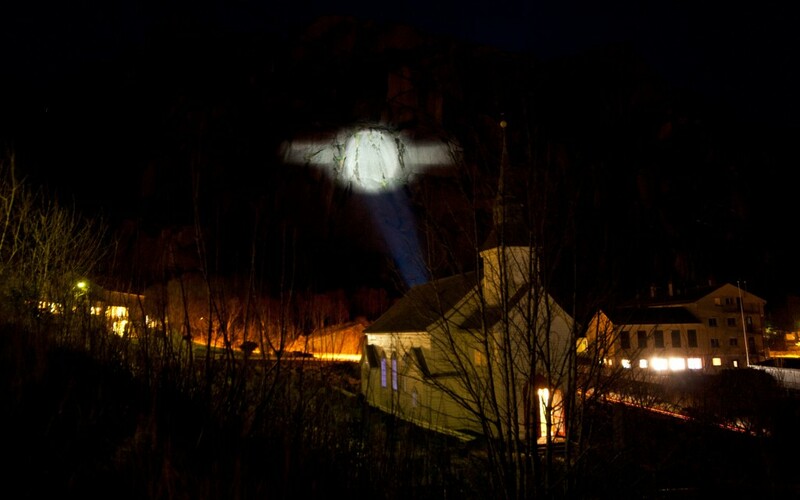 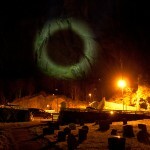 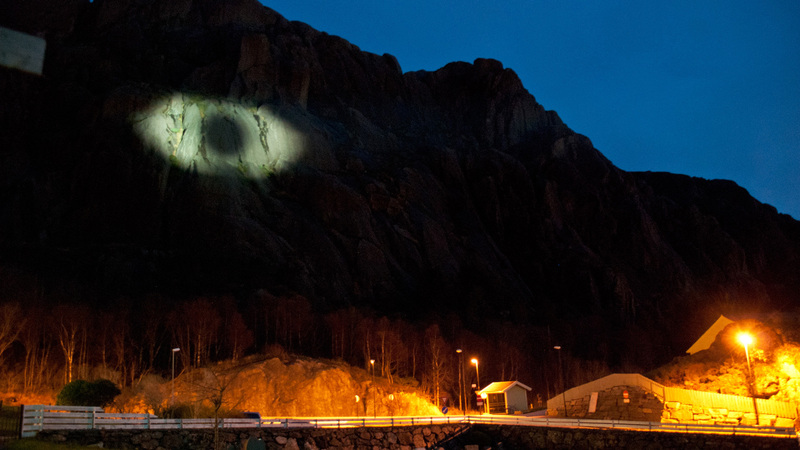 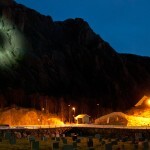 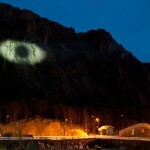 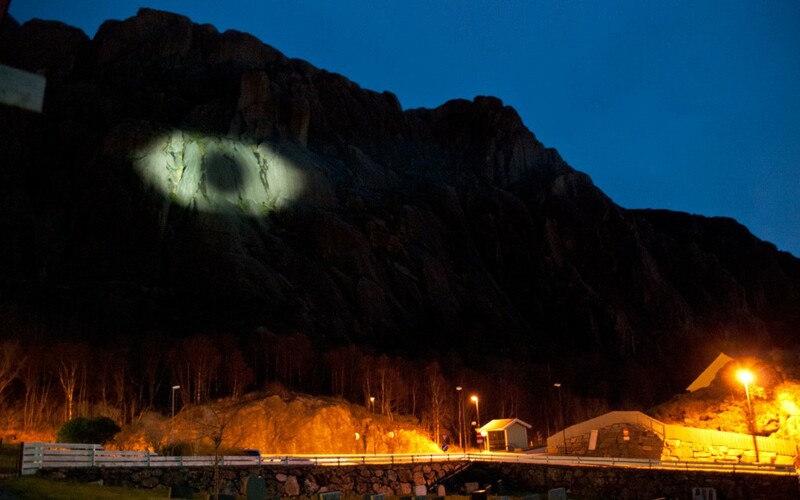 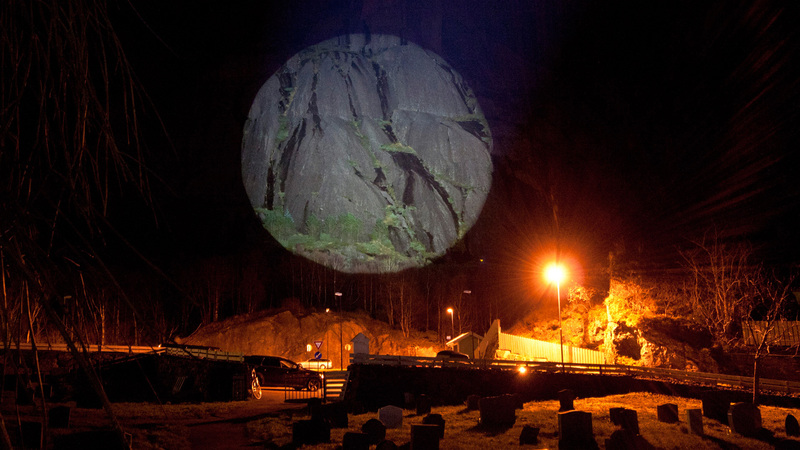 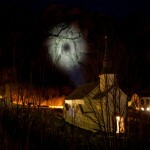 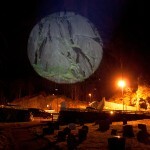 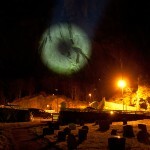 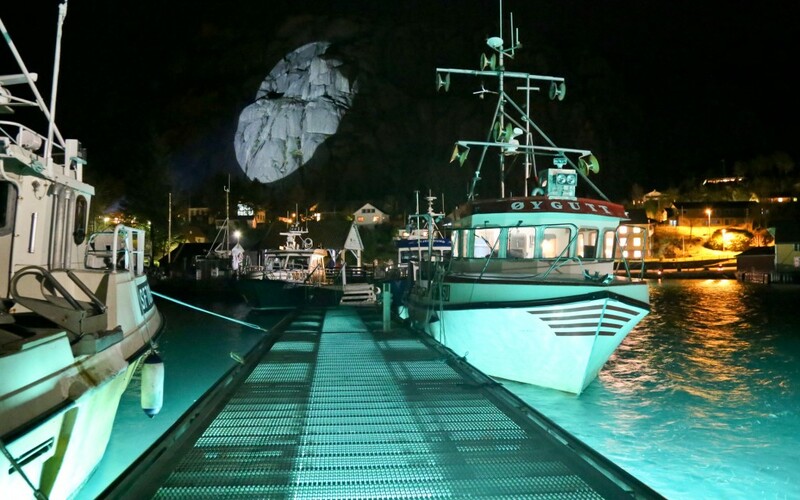 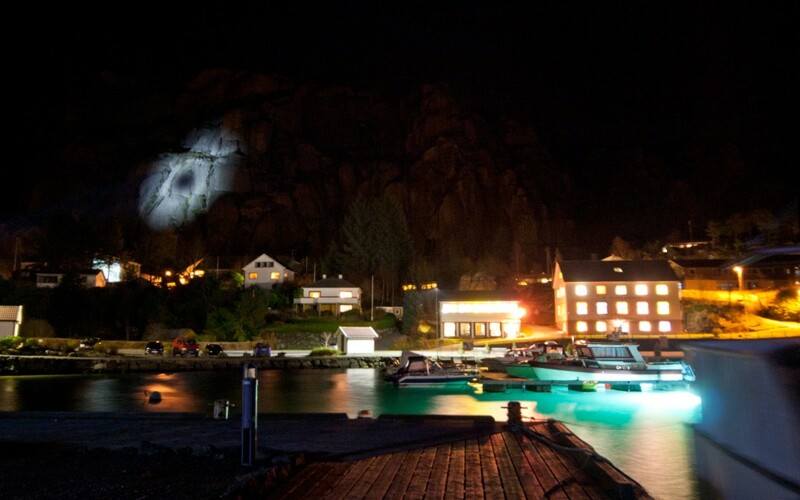 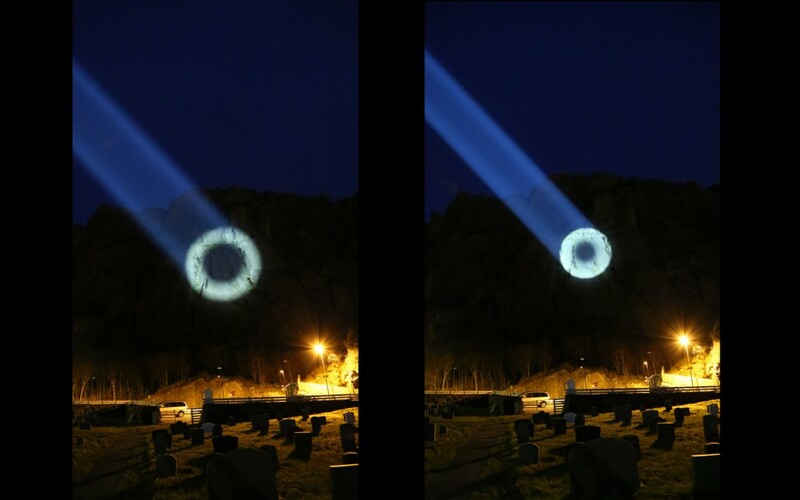 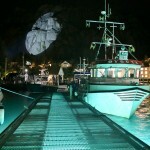 In 2014 I participated in the Solund Light Art Festival with two works; – Spirit and Crackle. 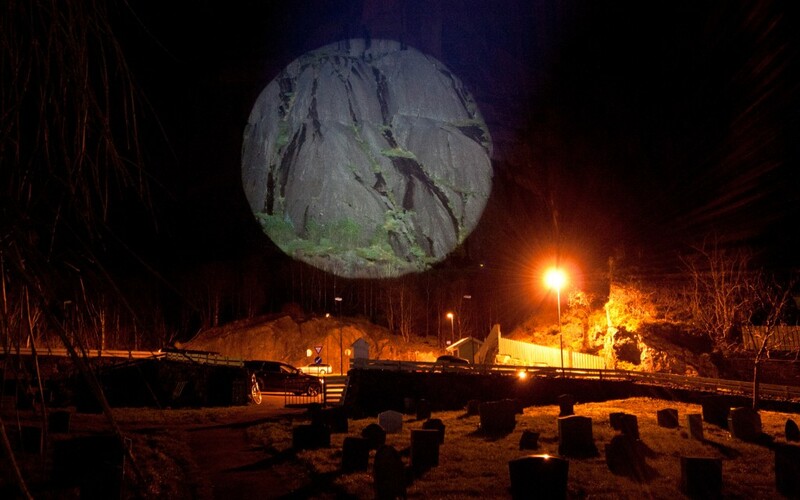 A slow moving, light patch on Ravnenipa in Hardbakke, Solund, – in and out, in and out – a programmed similarity to the resting breath. 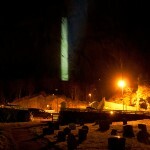 Suddenly disturbed by momentary aggression and flickering, before returning to calmness. 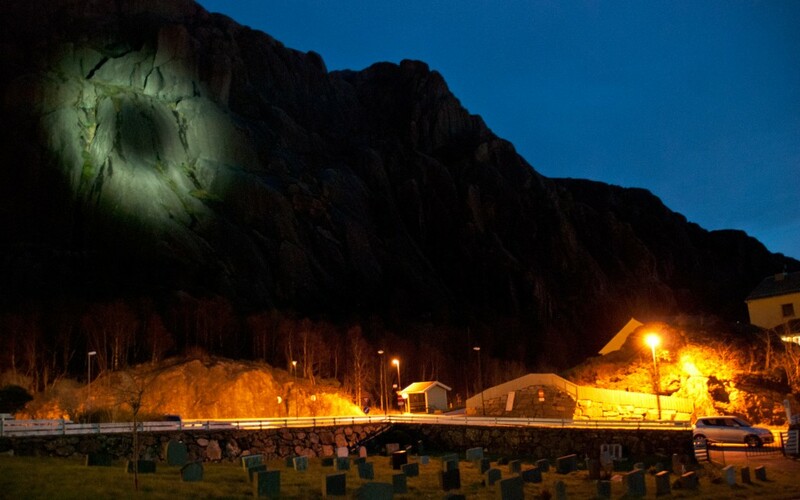 The mountainside is given life as the darkness falls, – a breathing patch of light that is clearly visible to the Hurtigruta ships passing out at sea. The source of the light stands on the church’s back stair, in the centre of the village, about 300 meters from the mountainside. The spot’s diameter varies between, about, 20 to 50 meters. 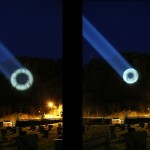 An interactive, manipulated, light source on an ordinary light pole down at the harbour. 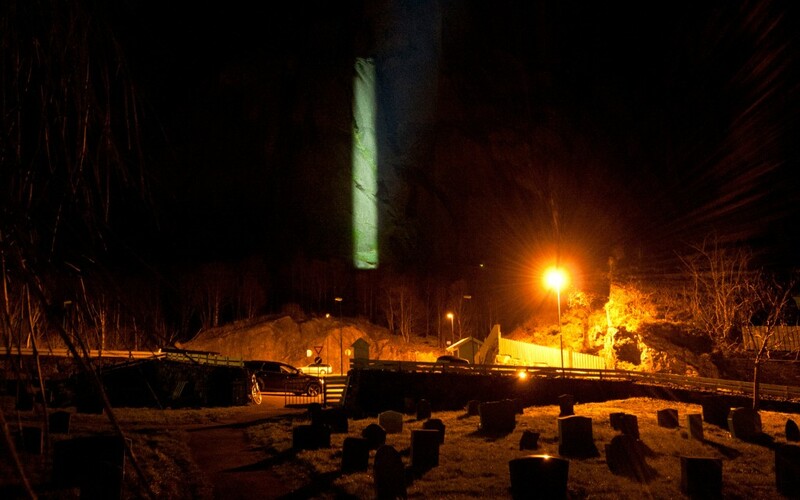 A patch of white, shelly, beach sand lies at the foot of the pole. As one passes the patch the light begins to flicker frenetically.